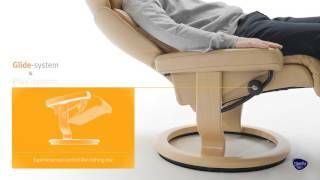 The Stressless Reno comprise one of our most sought after collections. Designed with comfort in mind, this collection surpasses all expectations. With soft contours and plush cushioning, the Stressless Reno collection is truly opulent. 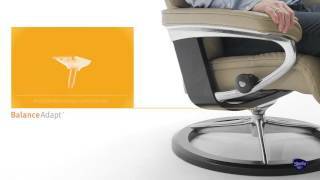 Using the Stressless patented Glide and Plus systems, the Stressless Reno respond to your body's slightest movement. Coupled with a full 360° swivel feature and adjustable headrest, this collection delivers superior support and unprecedented comfort. Complete your room with a coordinating Manhattan or Oslo chair, loveseat, sofa, or sectional.